This is our latest store for Apostrophe – the conversion of a former office space on the ground floor of a late C19th listed building in the City of London. Apostrophe are renowned for the individuality of their fit-outs: our design responses for this client always aspire to elevate each store to a level of sophistication above the competition. 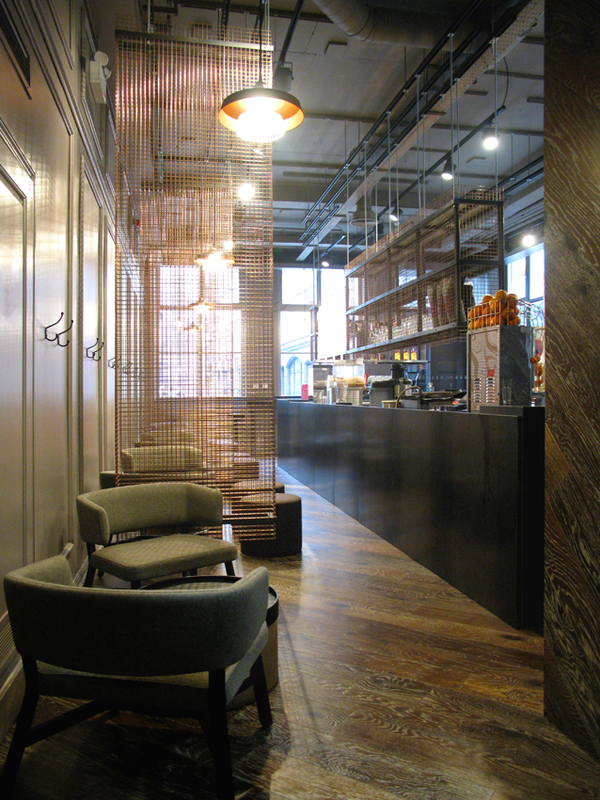 For this location, the brief was for a lounge-style establishment with multiple and varied areas for informal meetings – a perfect response to the site, within the heart of the financial district. 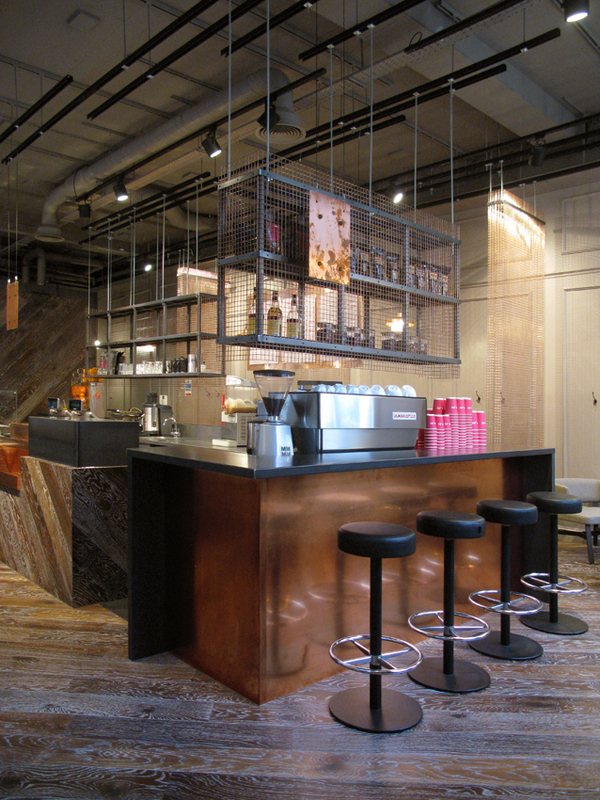 The sumptuous materials palette includes blackened steel, copper, and espresso-coloured diagonal timber. 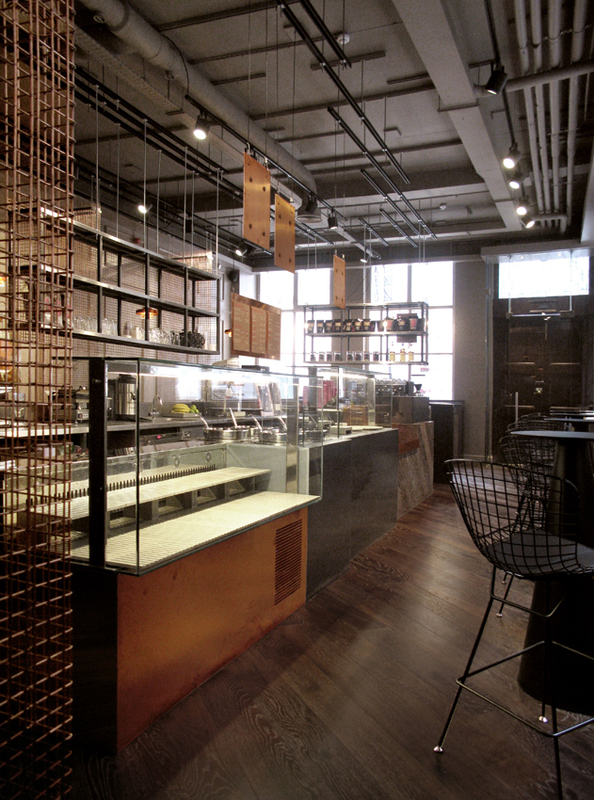 Above the coffee-bar are mild steel and copper mesh-clad shelving units, suspended from exposed Unistrut supports that float in the open ceiling. 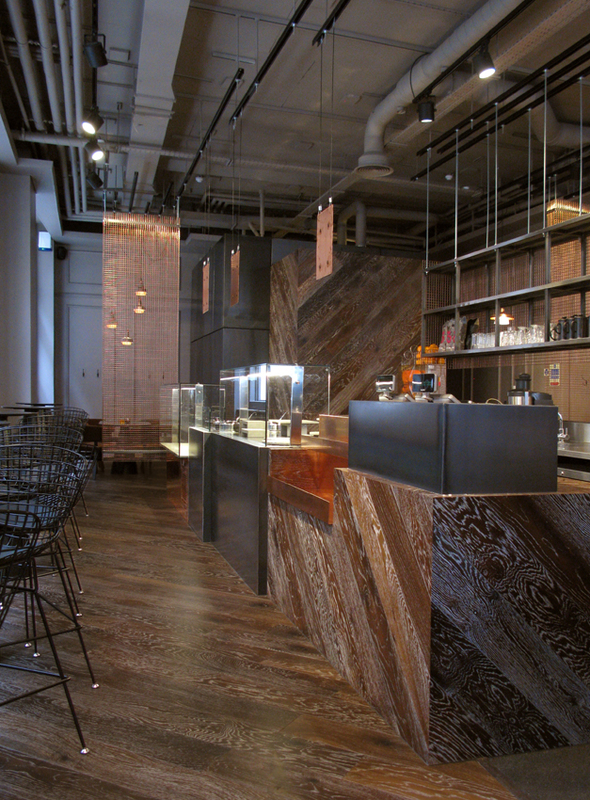 This feature area allows for high seating to observe the skills of the barista in action. The counters incorporate frameless-glass display cases with a bespoke solid surface display system. 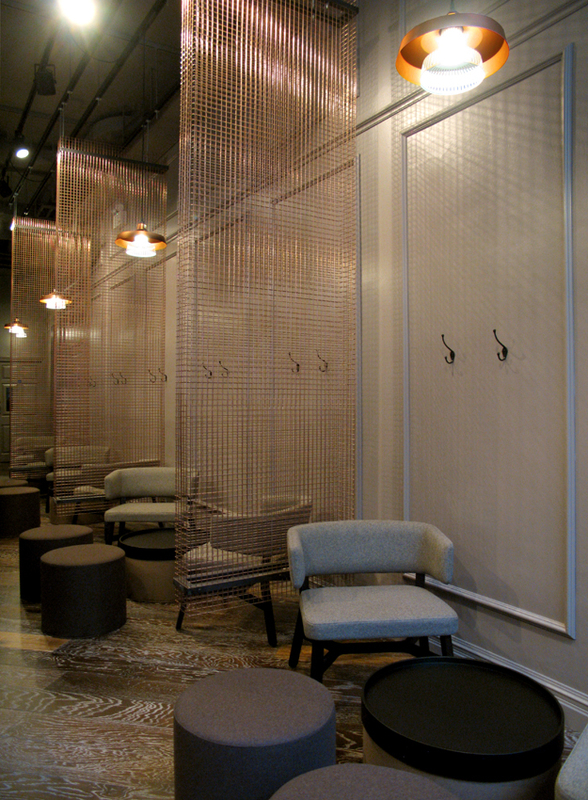 Copper mesh dividers provide visual screening and privacy, and also allow an uninterrupted view through the length of the space. 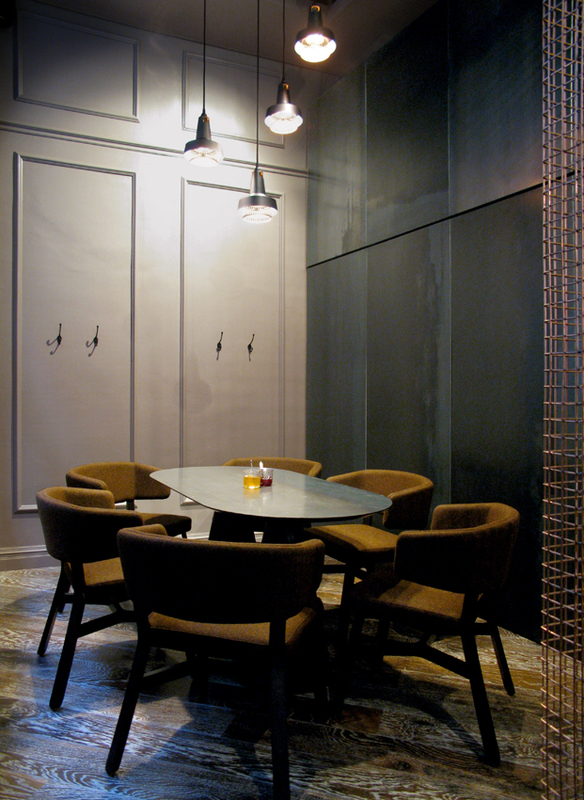 Beautiful copper-anodised Apollo pendant lights by the talented young British design studio International add atmosphere and cast dramatic shadows from the mesh cages onto the walls.